Where is the stair runner from? LOVE! Alternative Flooring. Rock n Roll is the name. 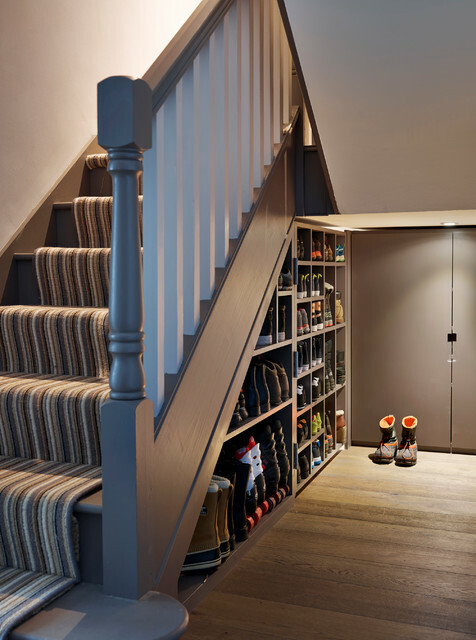 Traditional style stairs with striped cover combined with amazing shoe storage for all the family (so only ‘smart shoes’ for dressier occasions would have to be stored in bedrooms). All trainers, walking boots, school shoes, work shoes and other day-to-day shoes would be stored downstairs.